You’re probably bursting at the seams to chatter away about your wedding, but is it a good idea to blab about your big day at the office? Well, no…and yes. Sometimes, planning a wedding can be so all-encompassing, it can feel like your full-time job. Which means talking about it (and thinking about it) can creep into your actual full-time job more than you might have ever planned for it to. And there’s no shame in talking about your wedding at work—hey, it’s your life! And Janet from accounting talks about her pitbull plenty—but it’s best to do so strategically. Stay mum around those you’re not inviting. You’re not required to invite everyone you work with to your wedding (or anyone! 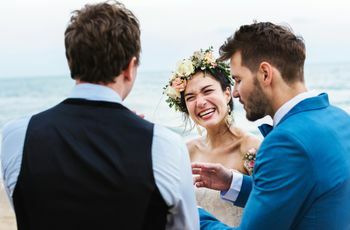 ), but to minimize awkwardness and keep things polite, it’s best to limit your wedding talk to only those who are on your guest list (i.e., your work wife). Nobody can fault you for leaving them off the list (it’s your wedding! ), but they also not required to hear an hours-long monologue about a party they’re not even invited to. Plus, the less you mention your wedding around those not invited, the lower the chance of an uncomfortable, “So, did my invite get lost in the mail?” convo beside the copy machine. Wait till someone asks how it’s going. You probably have a work BFF who won’t mind the eight hours of Gchats per day of you unpacking the intricacies of in-law seating arrangements, but for most of your other coworkers, hearing about your wedding is low on their priority lists (the truth hurts!). After all, they have lives of their own, kids, deadlines… and Janet has her pitbull. So before you unleash your Top 10 Worries About the Florist You Booked at your Monday morning meeting, take a deep breath and hold back. Wait for someone to ask how wedding planning is going. Someone will ask about your wedding at work, and then you can talk about it for a few minutes. They’ll be happy to listen, because they asked! 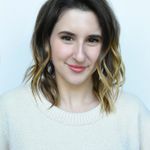 This is a great way to ensure you’re not becoming That Coworker Who Only Talks About her Wedding (because you have more to offer than that, girl!). Keep your boss out of it. You may work at one of those unicorn ultra-casual workplaces where your boss doubles as your confidante, but as for the rest of us? Bosses and wedding talk should be strictly kept separate (unless, of course, they ask for a wedding update!). 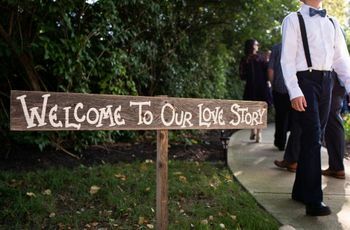 Whether or not your boss is invited to your wedding shouldn’t matter—the point is, to your boss, you’re an employee first and foremost, and you don’t want to tarnish their professional opinion of you by letting wedding fever take over. 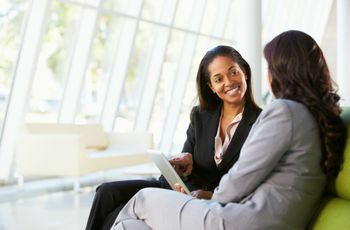 The same way you wouldn’t talk about your wild birthday party with your boss, you should also keep wedding talk sequestered outside the C-suite. If you’re the boss? You guessed it: don’t interrupt your employees’ workdays with wedding chatter. When you’re planning a wedding at work, you’ll hear a lot of advice and input from your married colleagues. Whether solicited or not, they’ll give you their take on your wedding decisions and they’ll tell you what they probably think is very sage advice about your married life to come. It might come off as negative and a little critical, but it’s just what some married people do! It can be tempting to push back and give them a piece of your mind (who are they to rain on your parade?) but don’t forget that this is a professional atmosphere, and it’s best to stay neutral and just thank them for their advice. If they were friends or family, of course you could give your two cents, but at work, it’s just not worth the drama, or the mark on your reputation. Like I said earlier, wedding planning really knows how to take over a life. But you can’t let it take over your job. 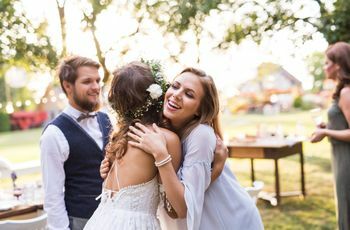 Because after your wedding wraps and the honeymoon ends, you still have to go back to work—so you shouldn’t let your productivity slip, your colleagues think your priorities have shifted, or your boss find out you’ve spent too much time talking wedding and not enough time on your monthly reports. You’re great at your job, and wedding chatter shouldn’t derail that—plus, you’re not being paid to talk about (or plan, for that matter!) your big day at work. So, if you’re wondering what’s the most tactful way to talk about your wedding at work, keep in mind that less is best. Feel free to text your fiancé(e), mom, and friends about it ad nauseam, though, as they have no choice but to listen.